We haven't had too much to report for a while so the blog has been quiet. Here is a bit of scoop. I was speaking to the travel agent who is organizing the cardmaking cruise to Hawaii for us, Donna Athey, and she said that the group has room for SIX CARDMAKERS ONLY! Wow can you believe that. If you are still thinking about booking the cruise, please note that the big number "six" doesn't count for non-cardmaking ship guests. This means that if you're a cardmaker and your cabin pal is not participating in any of the classes, then we will have room for five more cardmakers. We have less than a year...wow! 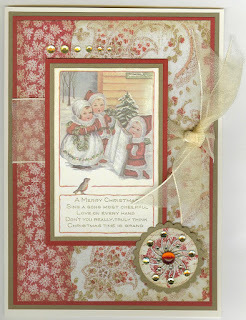 Here is a card I made using a couple of cool tidbits from our last Sailing with Scissors cruise. Firstly, I don't have any "uncle" stamps so one of the newsletters talked about printing a custom salutation using your computer printer. I printed a really nice birthday greeting for my uncle in brown ink, on vanilla cardstock. I then cut it out with a nestability. Then, I used a really beautiful piece of decorative paper from a paper pack that we had received in our goody bags, thanks to Jessie and her sponsors. Did I mention that Jessie is doing another goody bag for this cruise? Oh yes. That is happening. Here is the fabulous Jessie, owner of Cherish the Thought and sponsor of Sailing with Scissors, Hawaiian cruise. Don't you just love her Hawaiian outfit. Aloha right back at you, Jessie! These links will keep me busy for hours. I just visited our hostess Jessie at her new store, on Schoolhouse Road. I love the central location. I drove there in 15 minutes from Metrotown. The store is open and airy with lots of windows and natural bright lighting. Jessie was talking to 8 customers all at the same time, yesterday. That lady is talented. Go check it out. You can't miss it, just look for the "Remember Me" Scrapbooking sign. The address is 104B 250 Schoolhouse Street, Coquitlam. Call 604 917 0230 to book your classes. -a daily newsletter written by me focusing on different cardmaking techniques. -dinner seating with the group. Lots of laughs to be had. -a password for a special Photobucket account so that you can download your cruise pics and share all the other pics from the other guests in the group who have also downloaded pics. In this way, you can get pics of scenes or people that you may have missed. -Donna Athey our travel agent, is available at all times to help with your booking or if you have any questions. She co-ordinates with me and Jessie on all aspects of the group. We couldn't have done it without her for our Alaska cruise in 2010. -qualify to take classes, participate in fun events such as the card swap and games. If you wish to be part of the group, and be able to participate in the fun cardmaking activities, you must book your cruise with Donna only!!! 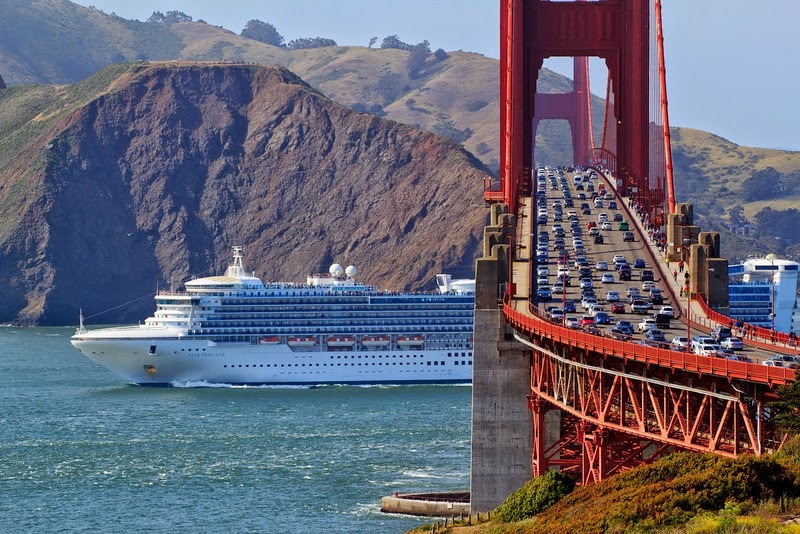 Sorry, but if you book your cruise with another travel agent, then you will not be permitted to be a participant in this group or take classes or join in any other fun cardmaking activties. Quoting a famous saying from Hawaii 5-O, the first television show filmed entirely on location in Hawaii, Donna has already been booking Sailing with Scissors guests. One of the sister pairs, from Alaska, was the first to book this cruise. Annette and Karen are soooo much fun. You will love these gals. Yay Annette and Karen! We have a new sister pair joining us this time. 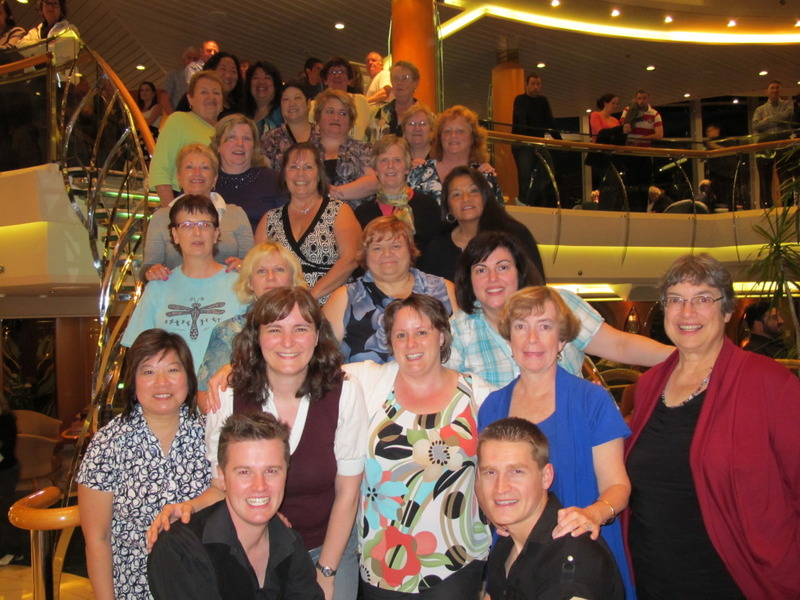 Welcome Trisha and Jane who have also booked the cruise. You will have a fabulous time. Also, yours truly, Celina, has booked the cruise. I promise I will not wear plaid everyday - what was I thinking in Alaska! I know you're reading this and saying "what are these people doing?...this is 17 months away...we have plenty of time to book". I wish this were true. The problem is that this is a repositioning cruise and it is the one and only sailing doing this run. Several years ago I had done this sailing with another cruise line and asked Donna about it. She said that the two other cruise lines that are doing this one sailing each, are closed. We are not too sure what this means, except that the public can not book this repositioning sailing on these other lines. This just leaves our ship, Carnival Spirit, on our sailing, available for the whole world. We want this ship filled with stampers, not other people...just kidding, of course. We will have one class per day at `Fun Day at Sea`days. This will give you time to enjoy the rest of your afternoons and early evenings. Oh Wow!!! We have a details on our second Sailing with Scissors cruise. This time we will be sailing on the Carnival Spirit. The cruise leaves the port in Vancouver and cruises the various Hawaiian islands. Then, you fly back home. The date is September 18th to the 30th 2012. Yes, this is next year. However, this is a one time sailing and sells out quickly. These prices are subject to change (meaning increase) at anytime. Additional costs would be classes, air fare, extended stays in Honolulu. If you have travel points, this is a good time to use them. The deposit is $500 per person and cabins will be based on double occupancy. Another cruise adventure awaits us cardmakers. If you are interested in joining the fun aboard the Carnival Spirit, Donna needs $500 per person deposit as soon as possible. Donna is not allowed to book the conference room for our stamping classes without booking TWENTY CABINS. We need to book the conference room otherwise sharing classroom space with looky-loos at the bar.